By clicking the Submit button I consent to being contacted through text, email or phone. I understand that Fix My Gadget respects my privacy and will not share my information with any third parties. 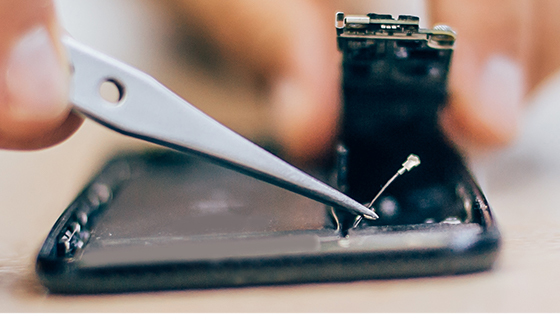 We understand that you need your phone, tablet, or laptop working as soon as possible. 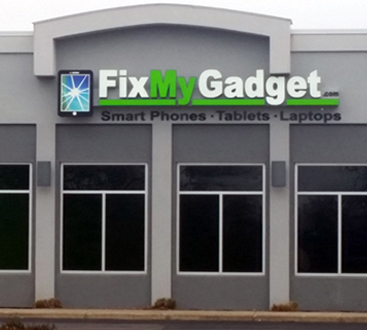 Instead of waiting in line for hours, bring it in to Fix My Gadget! 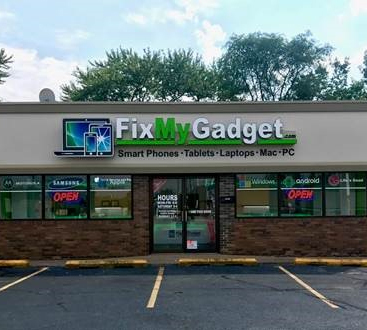 We’ll get it fixed, so it can hold a long-lasting charge, and you can ditch the mid-day charging sesh and get the convenience you want from your phone, tablet or laptop once again. Bring it in to us! After several years without an update, Apple finally announced a new version of the Mac mini, an immense upgrade that makes the little Mac machine feel like an entirely different device. The latest iteration sees Apple once again offering a state of the art machine for a fraction of the price of an iMac. The concept of the Mac mini is straightforward – a utility-oriented compact desktop computer that one can carry around and hook up to various monitors and accessories at the user’s convenience. However, one should not underestimate the power packed into the inconspicuous Mac mini. The new Mac mini features a powerful 8th gen Intel chip with the options to upgrade to an even more powerful 6-core model, as well as up to 2 TB of all-flash storage and 64GB of RAM. All for a price range that begins at $799.00 – and ends at approximately $4,000 if you desire the maximum upgrades. So what users would benefit most from the Mac mini? Why would you choose a mini over a MacBook Pro or iMac? Read on to learn the top ways we expect the Mac mini to be adopted in the coming years. The mini has kept its HDMI 2.0 port and is compatible with Dolby TrueHD and DTS HD Master Audio. Apple retained these features because the mini still makes an incredible master of entertainment content. The heft storage space and plenty of RAM options, plus the powerful processor, ensure that you can play and store any content you want. Moreso, Apple included 4 Thunderbolt 3(USB-C), the same as a MacBook Pro, which opens up possibilities for external GPUs and SSD storage. Therefore we may see gamers, content creators and power users considering the Mac mini. The mini caters to content-rich users who have a ton of video and audio needs, as the device supports significant amounts of storage, with blazing fast data transfer, and connects to up to 3 displays. No doubt the new Mac mini will be a popular choice for graphic designers, engineers, music producers, developers and freelancers who require serious computing power without the restrictions of a typical desktop computer. The above occupations typically require a robust desktop computer for managing their varied and demanding tools. This audience has to make tradeoffs: Purchase a powerful but costly and not so portable iMac or iMac Pro, for the few who can afford it, or purchase a MacBook Pro with portability but performance restrictions. The Mac mini offers performance and portablility, but lacks a display, making it a good compromise for some users. Lack of portability can be a hindrance for creative professionals, as it’s common to collaborate with clients outside of a typical working environment. The added mobility – when necessary – of the Mac mini solves this problem, as long as a monitor is available. Also, for those who have to run particularly demanding programs, note that unlike some Apple computers, the Mac mini’s RAM can be personally upgraded, by physically opening the shell, if your current RAM ends up being a little too slow for your needs. 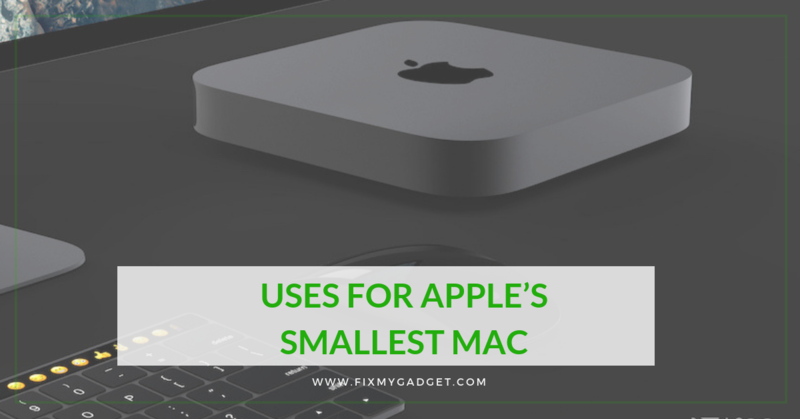 The Mac mini has already found a niche in the world of small business, both as an IT data system and as a more affordable alternative to more expensive Macs. IT professionals use the Mac mini server edition for simple networking solutions providing the ability to manage data more effectively between employee devices. With new options for storage space, more processing power, and expansive room for RAM upgrades, the mini is surely targeted at businesses that want a reliable networking computer that can scale with their needs. There are also new advantages to trying this out: The new mini uses the Apple T2 security chip, which is a major boon for data encryption (and helps with video transcoding, too). 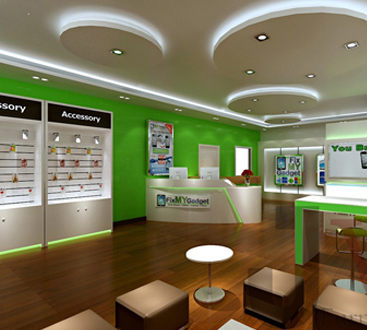 Many small businesses have difficulty supplying their staff with expensive iMacs and MacBook Pros. Employers usually end up choosing PCs with Windows because they are significantly cheaper. That said, employers who choose the affordably priced Mac mini will probably see productivity go up as Macs are undeniably more reliable and more pleasant to work on. IT departments in growing businesses are no doubt giving the mini a careful look right about now. Macs have a positive reputation within the software developer community, and the latest Mac mini only sweetens the pot with new distributed computing capabilities. Therefore, we expect to see interconnected Mac mini systems popping up in software companies and world-class creative studios. The Apple Compressor can distribute batch task for media transcoding across multiple computers connected to the same Gigabit Ethernet network, as Apple demonstrated at the recent keynote event. This capability is still strangely limited, as it doesn’t yet work with Final Cut Pro X or Motion, where hypothetically film editor’s could save a lot of time. While it’s unclear how this technology will be used in the short term, Apple suggests that software developers could use this to speed up compile times – that is the time used by a computer to convert human readable code to machine code – for large software projects by interconnecting Mac minis to do the processing in parallel. I consent to being contacted through text alerts for services related to my request.